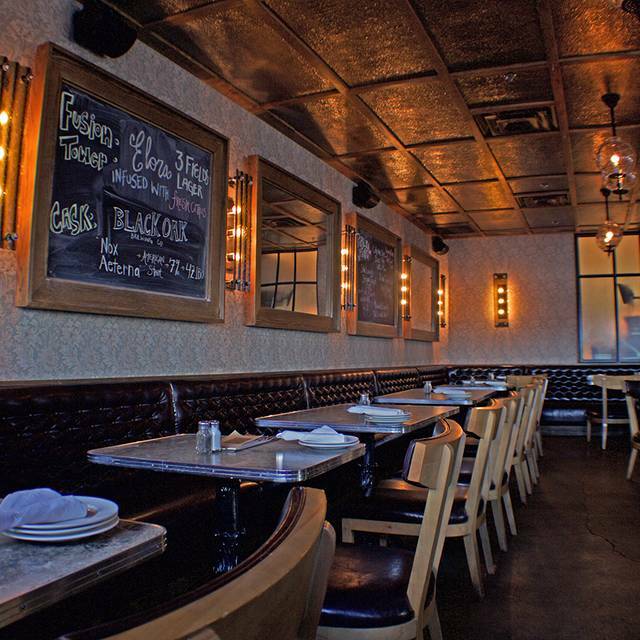 You must make reservations at least 5 minutes in advance of the time at Beertown Public House - Cambridge. Route 51, 67 and the 200 iExpress are closest to us! Beertown is the destination for the instinctively curious. It fuels the fascination for all things purposefully crafted, whether that's beer, cuisine or design. Our guests know that life is too short for the ordinary. 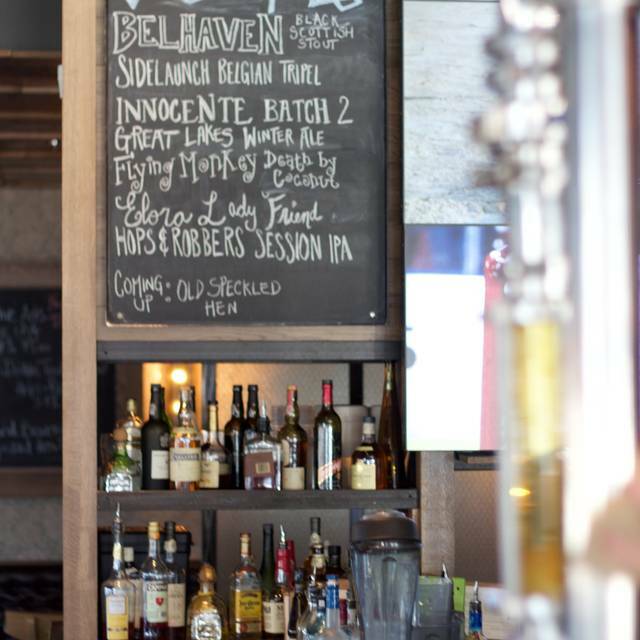 With 30 beers on tap and about 100 in a bottle, there is a beer for everyone. 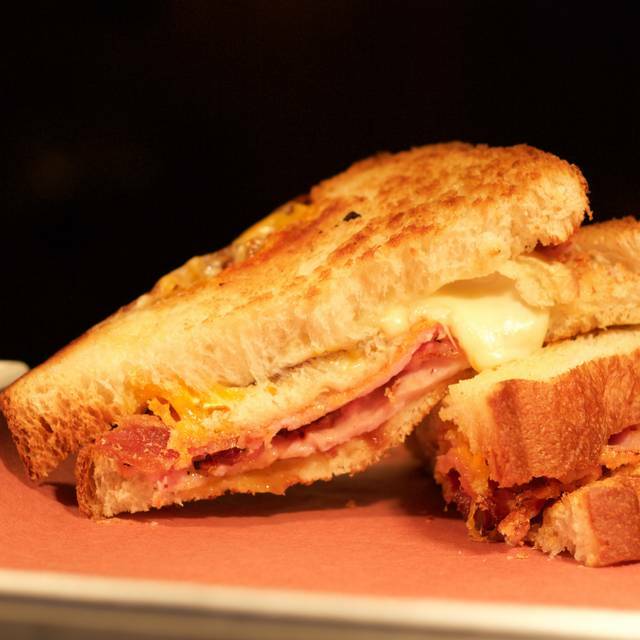 Our chefs have taken as much time as the brewers to craft everything that goes on each plate. We look forward to serving you. 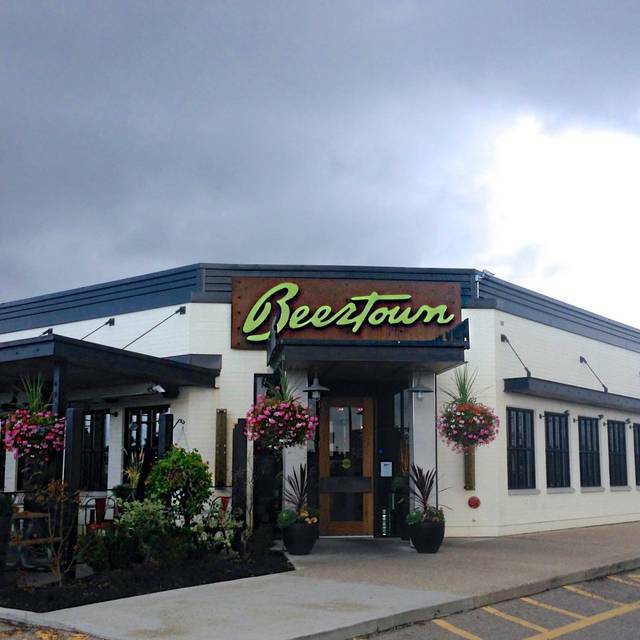 Beertown, located a few minutes south of the 401, is the perfect location for your next 'roll up your sleeves and let your hair down' event! 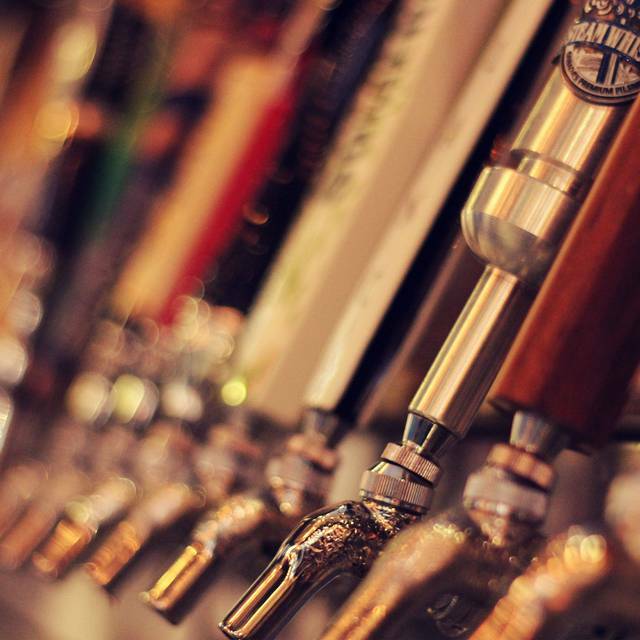 100 bottled beers, 30 draft beers and cuisine that is more than 'pub food', Beertown is the right place to celebrate! Incredibly staff that are knowledgeable and honest about the menu! Food is always great quality. 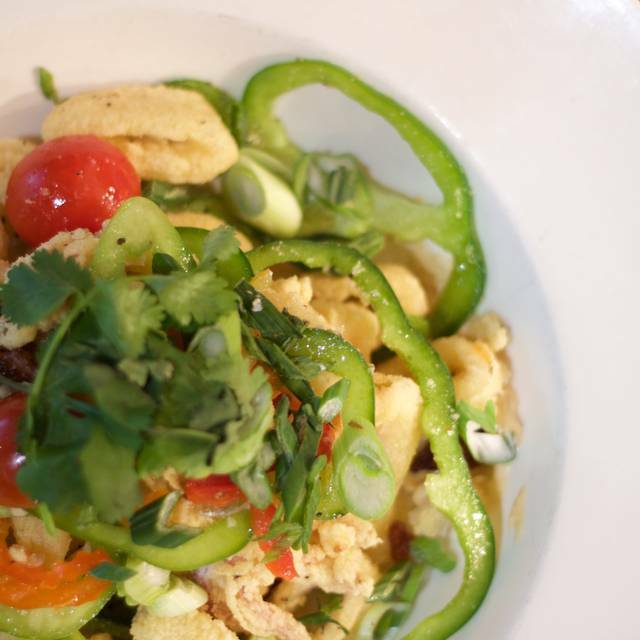 Also features an outstanding gluten and vegan menu :) Way more options than most restaurants. Great place to bring friends and family. 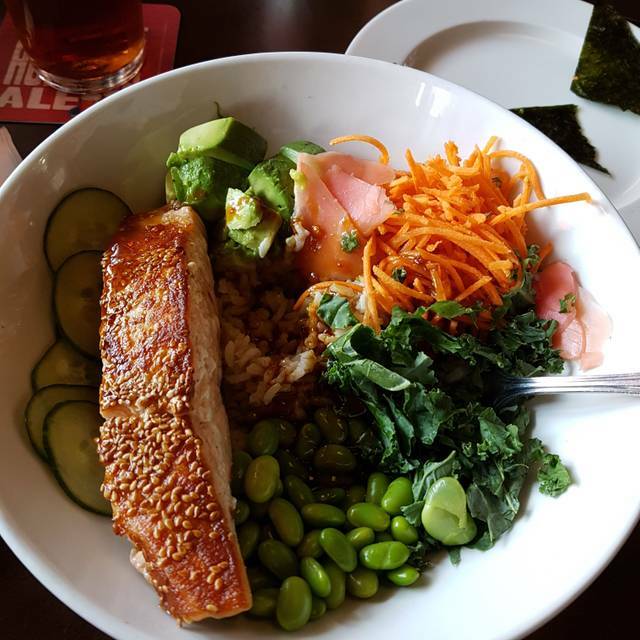 I had the Asian Salmon Bowl and it was fantastic! It was full of healthy choices and everything was cooked to perfection. Our two children (aged 2 and 6) had a burger and Mac and cheese, both loved them! Server was excellent and very knowledgeable when helping my husband select a beer. Everything was great, as usual. Those damn pretzels are so flipping good. The service was something to be desired. She was more of an order taker and not an order maker. It wasn't overly busy, maybe she was just having an off night. There wasn't much personality coming from her. Great food, Overall great service. Beer was good and cold as always. No complaints! The food is great! We have gone a few times and have never had complaints. We had a visitor from Nova Scotia join us and he thought it was a fantastic place! We will be back again! It was thriving on Valentine’s Day! Delicious food and our waitress was lovely! The people next to us were yelling a lot though, but that’s never the restaurants fault! Excellent! Service was outstanding! Our server Christine was very attentive and helpful. The food was fantastic and fresh... the atmosphere was lively and fun... overall great experience! Had lunch @ Beertown on Sunday. It was difficult to decide because everything sounded so delicious. Went with the pretzel, burger (outstanding) an the Hosin chicken sandwich. 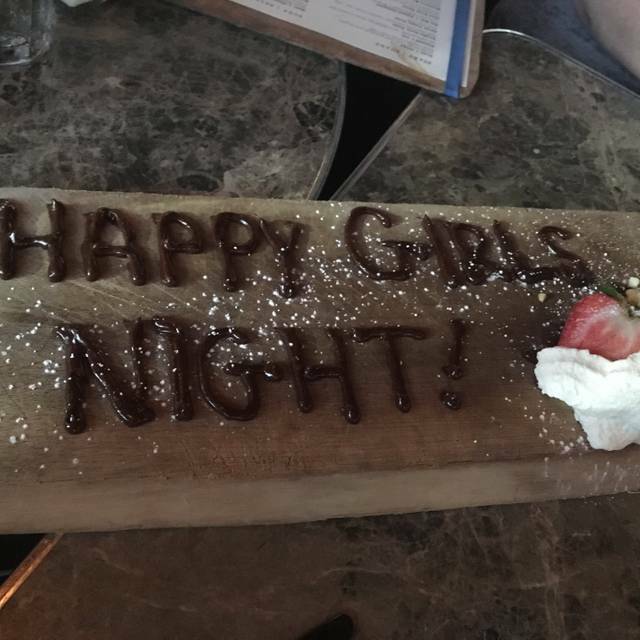 Four of us ladies had dinner at the Cambridge Beertown Restaurant a few days ago. The staff were friendly and helpful. We were impressed with the vegan menu choices - so hard to find in restaurants. We ordered from the vegan menu and the food was delicious. I highly recommend Beertown Restaurant in Cambridge. We will be back again. This was our first experience at this location and we enjoyed it very much. We loved the size of the booths. The food was great and so was the ambience. The service was wonderful. We will definitely be back ! Service was great. we were not rushed through our dinner and were given the time to socialize with our company. Really enjoyed our dinner, and my husband was thrilled that you served non-alcoholic beer. Great service and love the gluten free menu for my husband who has celiac. Had a great time with family at Beertown. Food was delicious and service was outstanding. We mentioned that family was visiting for my wedding and they brought us complementary champagne for a toast! Just a great place overall. Awesome beer selection. 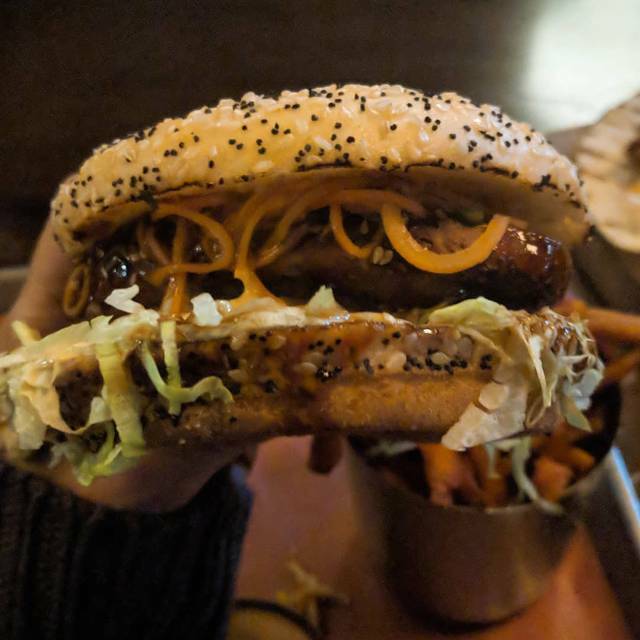 We love that Beertown has an entire vegan menu! Thank you! I requested an item that wasnt even on the menu any more. The kitchen was great and made it special for me. AWESOME customer service and deicious food! We came in for a late lunch, around 2.40pm, the place was very quiet other than our neighbouring table where a lady was pumping milk from her breasts! (she surely could have done this at home!! a rather disturbing sight in a restaurant!). The staff was friendly but nothing more. The food came out promptly but tasted just average. My husband had the brisket that could have been more tender (especially considering the time of day we came in - the brisket should have been very tender) and the presentation was cold (just a few beens in a little bowl and a tiny coleslaw). My chicken bowl was cold (I was expecting a hot entree) and had been prepared a long time ago and probably sat in the fridge. I was just average tasting. A rather disappointing experience for a restaurant that should be above average. The brisket poutine is AMAZING!!!! It’s an app the size of a meal. Outstanding!! Our waitress was polite, informative, kind and the true meaning of customer service. Great Job!! Arrived for our reservation. No waiting. Table was ready. Our server was friendly, knowledgeable and provided excellent service. Food was good. An excellent time. Service with is always great with very friendly staff. Food is consistantly good. I had lunch on the weekend with my bridal party and mom/new mom in law before I went looking for my wedding dress. Amazing service, the staff was so friendly! They even surprised us with a free brownie on a paddle, which helped make the whole experience really special!! I just had the pleasure of going out for drinks there. The establishment was clean and the staff was very helpful and nice. Love the menu. Lots to choose from. Service was amazing! I loved the outside patio for dining. My food was cold but it was good. I ordered the brisket burger. It could use a little less bun and more meat. Only complaint was they put us in dark corner table nowhere near a window when I requested outdoor seating. I understand nothing was available outdoor, but then somewhere near a window would’ve been nice!